In addition to their practical use as a relief for personal care, proper mirrors placement can make the room appear larger and brighter. It’s like having decorative windows that can be moved and placed as you like, besides they are very versatile because can represent any style of decoration . So start decorating your house by using mirrors. If your home has a long hallway, it’s a great opportunity to welcoming your guests with mirror vignettes, ‘puzzle’ piece mirrors, or groups of hanging mirrors on the side walls. The mirrors will help distract the eye when walking down the hallway, also brighten up the darkness of the long corridor as well. In this room, not only reflect the sunlight, glass walls serve as the backdrop of the seating area. Laying a glass wall just above the sofa, giving playful and spacious impression in the room. The bigger the mirror, the more space it will appear to create. Placing a mirror opposite a window, will bring natural light into a smaller room. We seldom think that mirrors can helping out with a room’s color palette, but with the right frame and a little creativity they can do just that. Here, a combination of bright yellow and orange makes a big splash in a modern, eclectic room full of interesting, colorful pieces. 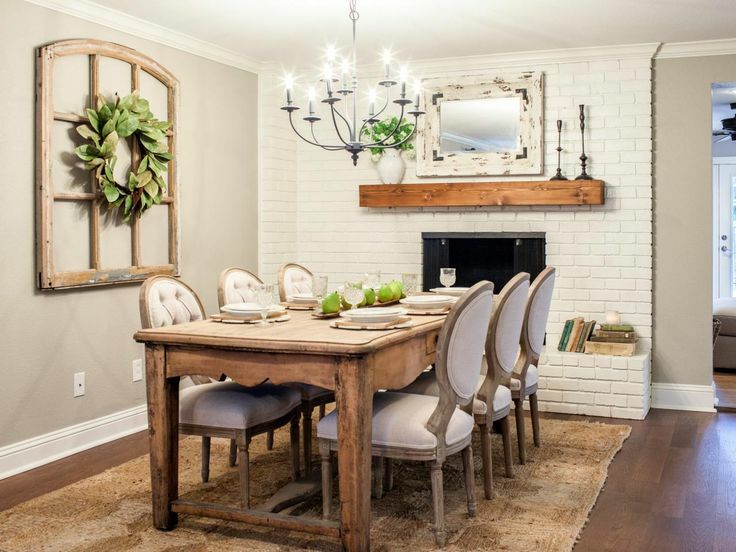 Dining room is an ideal place for mirrors. In the room which lack of natural light, mirror can make a greater impact. the placement of the mirror on the upper wall is parallel to the lamp reflect and create a warm, romantic glow. You can choose an extra-large wall mirror to add more visual dimension to the space and create an elegant, yet relaxing atmosphere. Don’t feel improsioned with frames when picking mirrors for your favorite room, go for something bolder. A geometric mirror add some statement in your room and also beutifies it. Bored with the usual door and want some spacious impression? Why not use a sliding door? Besides get the function of the mirror, you also get a fabulous door. Another way to approach using mirrors in a gallery wall like this one is to create an entire display of mirrors. In addition to increasing the light, it also adds an artistic impression to the room. The wall above the head bed is the perfect position for centerpiece and mirrors can add an extra decorative touch to your bedroom. Bathroom and mirror are things that complement each other, then be creative as freely as possible. One of which is by hanging the mirrors in your bathroom to make it look unique and outstanding. Garden mirrors can be placed in numerous places to create a powerful effect. For instance, against the perimeter of the garden amongst blooming shrubbery can create the idea of a secret gateway. Things you have to remember when placing the outdoors mirror are: Make sure the mirrors will not cause any harm to birds or other wildlife and never place the mirrors in direct sunlight. Mirror is always a welcomed item in any room. It is functional while it always manages to add better atmosphere in the room for being a great decor item. Add elegance and expensive look in the room with the right selection of simple mirror decor.